The emerging Industry 4.0 concept, also called fourth industrial revolution and understood as smart factory, is based on integration of both Internet of Things and Cyber-Physical Systems. In smart factory, these two concepts are converging to the Internet of Services, which uses the cloud-based manufacturing for creating, publishing, and sharing the services that represent manufacturing processes, and could be offered by virtual enterprises. Therefore, any dispersed partner can meets the market demands according to their skills, capacities, and availability. 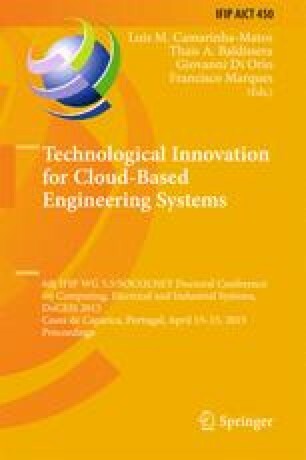 This paper presents a survey about service composition in a cloud-based manufacturing over the Industry 4.0. To achieve it, the concepts and characteristics about the service composition based on cloud-manufacturing over the Industry 4.0 are presented, and then the advanced researches about it are summarized. After it, the main research challenges over these issues are shown. Finally, discussions on service composition are reported to contribute for the future researches.